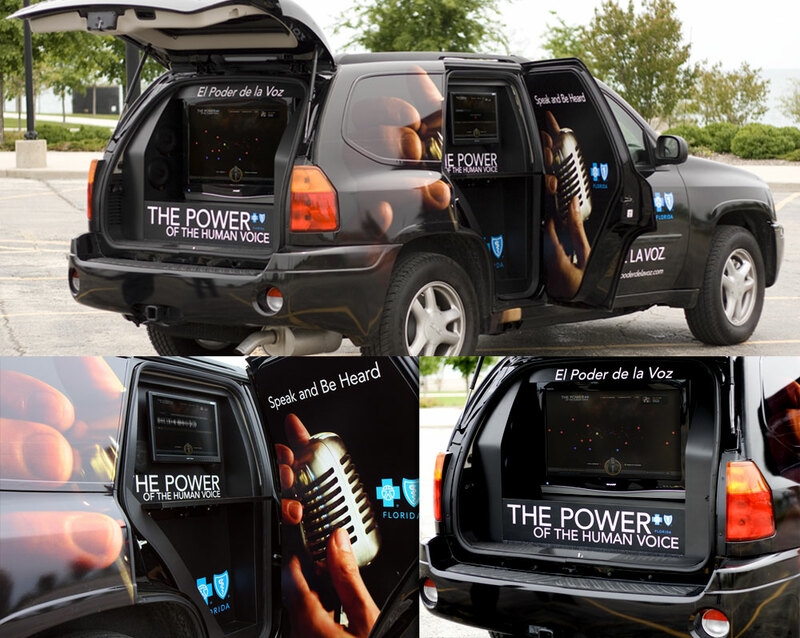 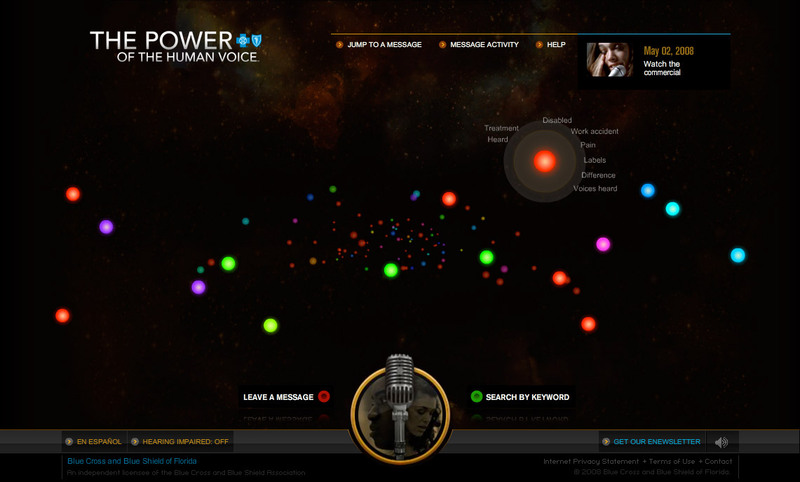 Blue Cross and Blue Shield of Florida’s powerofthehumanvoice.com website was the hub of the Power of the Human Voice campaign. 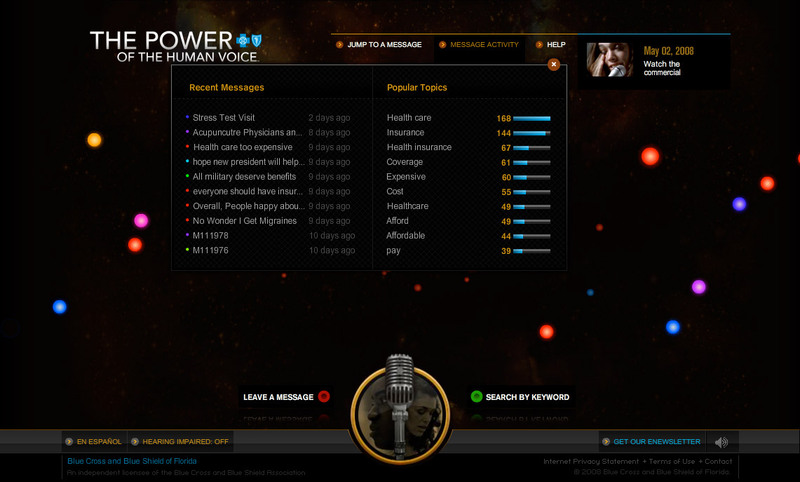 The campaign was created to encourage residents of Florida to tell their stories and share their ideas on how health care in America can be improved. 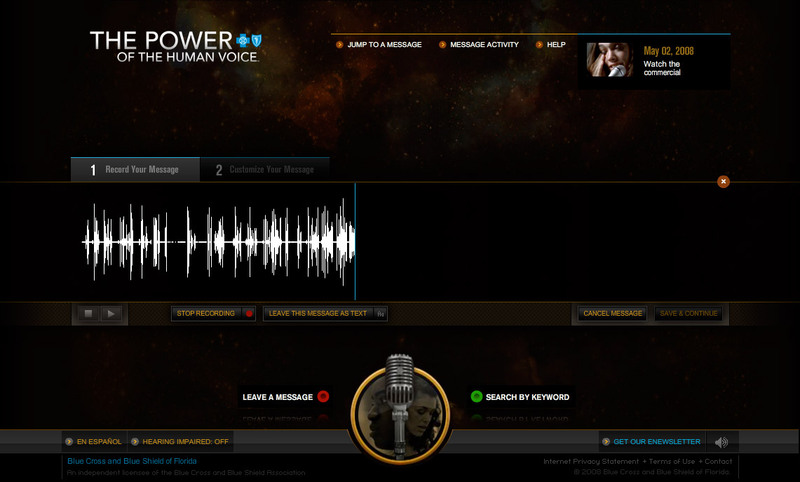 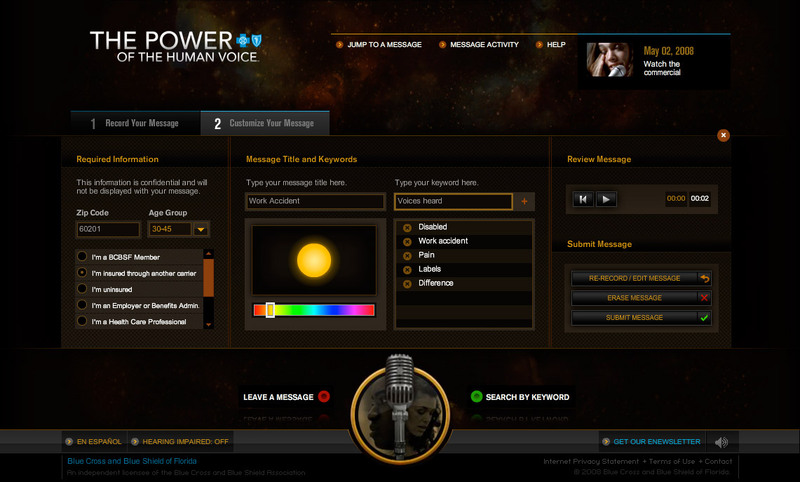 The site allows visitors to leave a message via their computer’s microphone or by calling an 800 number that is connected to the user’s session. In addition to the online site, a stand-alone version of the site was created for use at out of home events across the state.